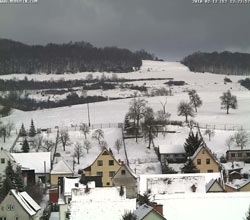 Lauterbach is a lovely small village in the west of Thuringia with about 600 inhabitants. It is situated near the city of Eisenach in the heart of germany and at the border of the Hainich National Park. Lauterbach’s history reaches backwards to the middle ages, when it was first mentioned in 1155 A.D. as “Luterenbach”, later as “Lucherbeche” and “Lutirbach”. In 1656 A.D. the village changed from the Duchy of Sachsen-Eisenach to the Duchy of Sachsen-Coburg-Gotha. Already in 1200 A.D., Lauterbach had a small chapel, named after the patron saint of the merchants, “St. Nicolai”. 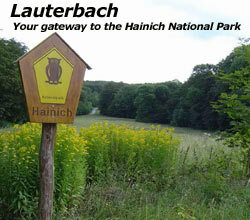 Lauterbach’s proximity to the Hainich National Park invites its visitors to hiking tours through its unique and untouched landscape with deep forests and wide fields. Only a stone’s throw from the National Park and on the local mountain of Lauterbach, the Harsberg, is situated the Youth Hostel “Urwald-Life-Camp”. It is of interest not only for young people. Give it a visit and see yourself!